The stunning dresser from Nexera comes in a truly timeless look that is sure to fit well with any decor style. Its manufactured wood exterior comes in a beautiful colour that's sure to please. Designed and made in Canada with CARB/EPP/SCS/FSC Certified particle board and MDF materials. Ships in 24-48H from order date. Assembly required. This Super Heavy Duty 42 inch. 4-Drawer Top Chest is BU.jpgilt to last with thicker steel and stronger design for rugged work environments that a Professional would experience. It's equipped with heavy duty ball bearing slides for smooth performance and is a great solution for your tool organisation needs. Bring a chic modern style into your home with this gorgeous Bombay chest. 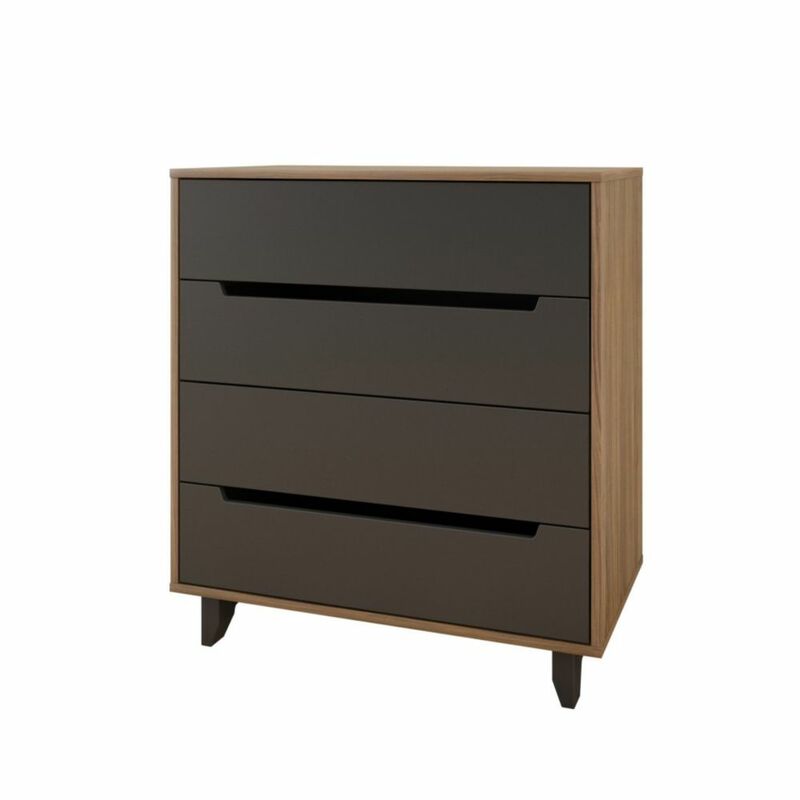 This beautiful , contemporary design with a 4 drawer chest in black features a unique hourglass shape with a subtle tiger stripe pattern and silver drawer pulls will surely make a bold statement in a bedroom or any living area. Nexera 31.75-inch x 35.25-inch x 18-inch 4-Drawer Chest The stunning dresser from Nexera comes in a truly timeless look that is sure to fit well with any decor style. Its manufactured wood exterior comes in a beautiful colour that's sure to please.